Filters are pieces of glass that attach to the front of your lens and serve a variety of purposes. Filters can be for protection or for achieving a certain effect or look in your photograph without post-processing. There are two main systems for filters. Most manufacturers make screw-on filters that attach directly to the front of your lens. When purchasing this style of filter, you need to know the diameter of your lens (indicated with the Ø symbol). While you can attach more than one filter to your lens, you may run into the problem of the edges of your filter showing up in the corners of your image, which is less than desirable. Also, if you have multiple lenses with different diameters, you have to buy separate filters for each one. 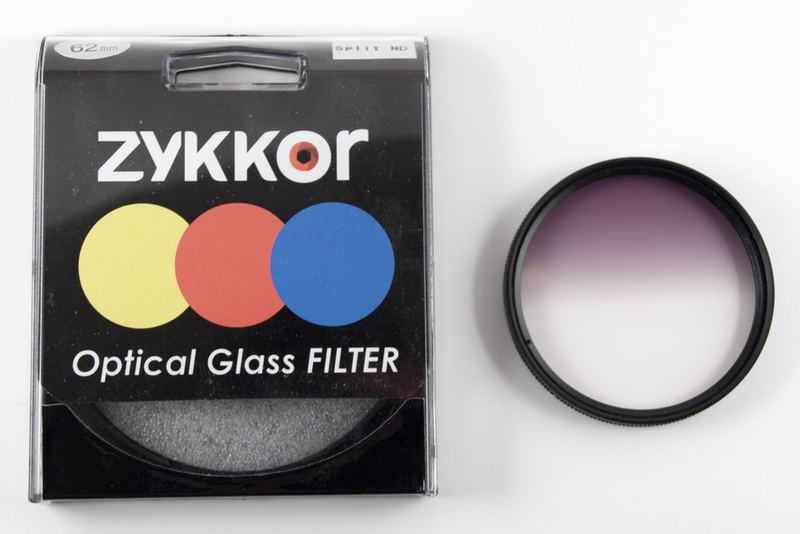 The second system for filters is the Cokin series of filters and holders, where you attach a filter holder to the front of your lens and the filters themselves are larger than your lens and generally rectangular. With the Cokin system, you simply buy a different adjustable piece to attach the holder to lenses of different diameters, but you can use the same filters on all your lenses. The Cokin filters generally cost more up-front but are worth it if you need to use them with different lenses or want to use many filters simultaneously. 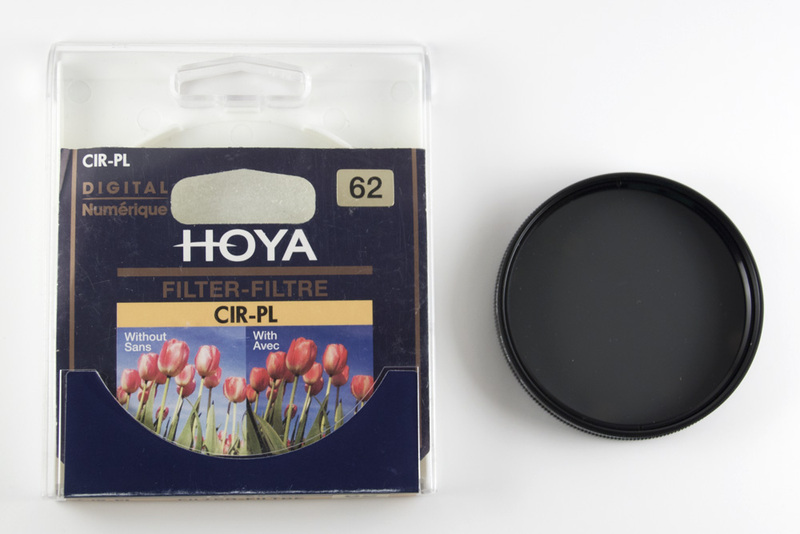 Personally, I currently use screw-in filters, and well-regarded brands include Hoya and B+W. If you are already further invested in photography, equipment, and lenses, you may want to consider the Cokin series of filters and holders. I am seriously considering making the switch myself when I can next justify the expense. If you are just starting out and only have a few lenses, then you can stick to screw-on filters, but if you know that you want the flexibility of the Cokin system, then it makes sense to invest in their filters from the start. 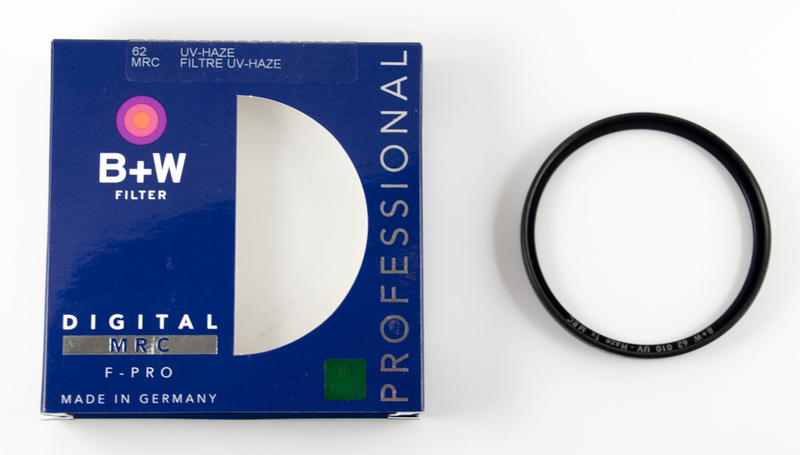 UV or ultraviolet filters are among the most common photography filters. Many new camera or new lenses come packaged with UV filters. A UV filter is a basic measure of protection for your camera and your lens. A quality UV filter has no negative impacts on your images or image quality, but the UV filter protects the surface of your lens from direct contact with dust, dirt, sand, fingerprints, and all other matter of debris. A UV filter can also protect your lens from breakage due to human error, especially if you drop or bump the front of your lens up against something. Recommended brands for UV filters include B+W and Hoya. Read more about the importance of UV filters in this post on Lens Accessories. A circular polarizer is a two-piece filter. The near piece screws into the front of your lens, and the far piece is free to rotate. Just like polarizing sunglasses or car windows, a circular polarizer changes which wavelengths of light are visible through the filter. This effect can serve to emphasize the blue in blue skies and cut down or eliminate reflections in water. (Polarizer tip: if you have a pair of polarizing sunglasses, spend some time tilting and rotating your head while looking up at the blue sky or down at a polarized wind shield. You will get an immediate sense of the impact of a polarizing filter.) Polarizers also eliminate reflections and glare in water and are commonly used in waterfall photography. (Read more in Yes, Go Chasing Waterfalls.) You can read more about how to use a circular polarizer in the article Improve Your Fall Photography: use a polarizer or check out polarizers here. A neutral density filter blocks some amount of light from your lens and sensor. These filters are called "neutral" because they should not have any impact on the color or color cast of your final image. (Inexpensive neutral density filters often leave a blue or purple color cast in your photograph.) Being able to cut down on the amount of light reaching your sensor is useful in many situations when you want a longer shutter speed. 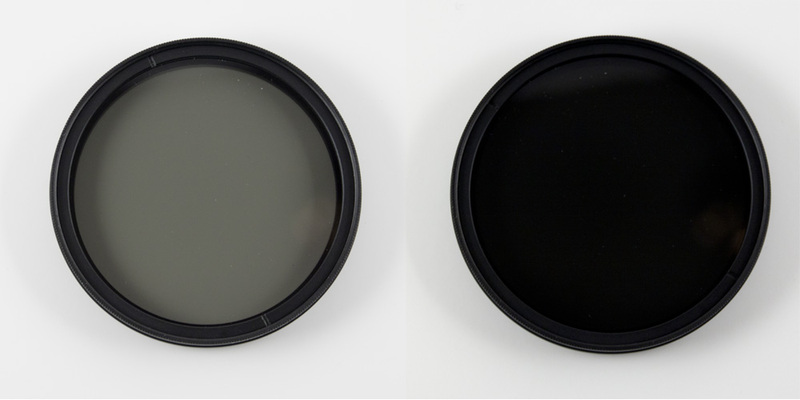 There are many different varieties of neutral density filters. The one pictured above is a variable neutral density filter. Like a circular polarizer, it has two connected elements that can be rotated. 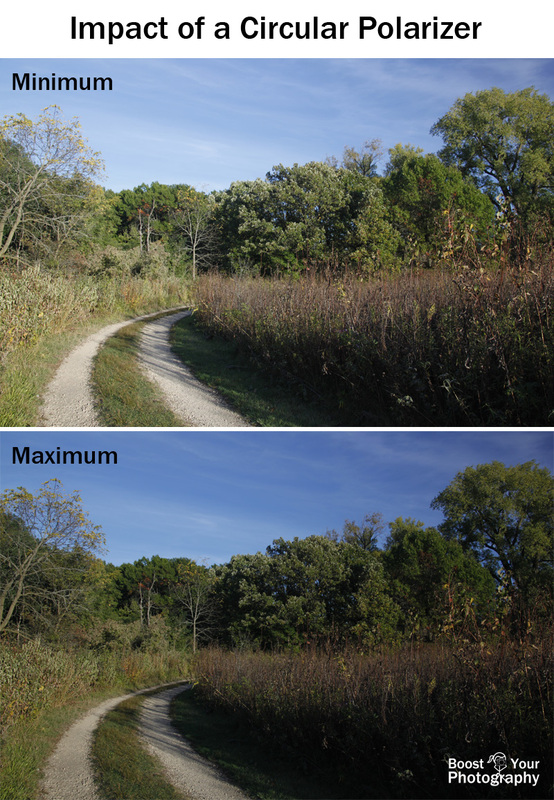 The version of the left shows the minimum amount of light being blocked, while the version of the right shows the maximum amount of light being blocked. This allows you to control how much light is being blocked simply by turning the filter. Tiffin makes a well-regarded variable neutral density filter, but there are many different styles and brands of variable neutral density filters or neutral density faders available. Most neutral density filters are sold in an individual "strength" and are not adjustable. These tend to be of much higher quality than the variable filters. You can stack filters by screwing more than one on to each other and adjusting the effect that way. This is where the Cokin system really shines, as it is very easy to slot different filters and different strengths in-and-out of the holder, and you can use several ND filters together without risking edges appearing in your image. 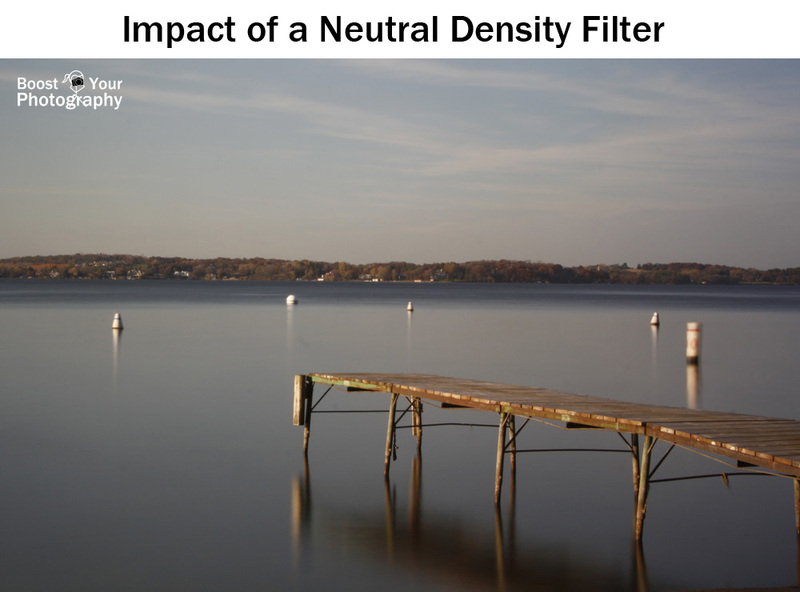 Another type of neutral density filter to consider is the Split Neutral Density. A split ND filter only blocks light from half of the photograph, and you can find both hard split ND filters (a sharp dividing line in the middle) and gradual split ND filters (a more gradual transition, like the one shown above). 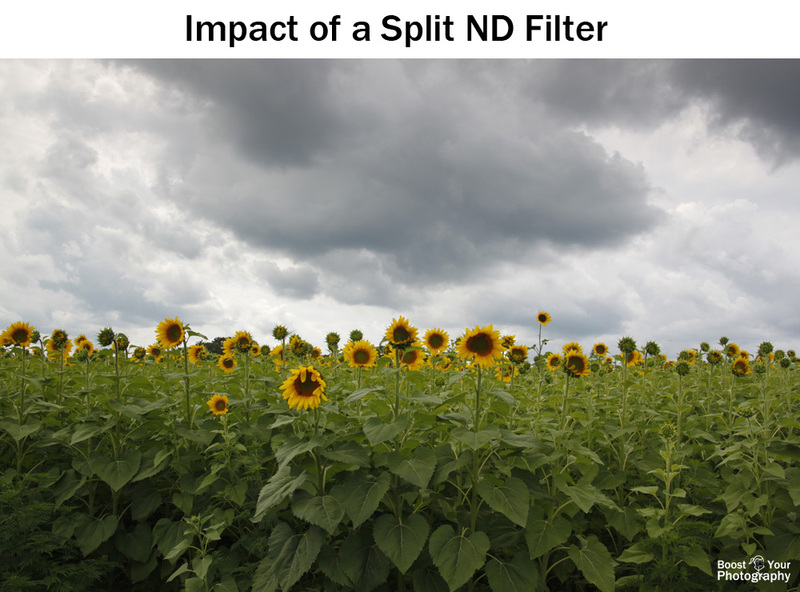 Split ND filters are used when you have a scene that is much brighter in one half of the image than the other. With circular split ND filters, you spin and adjust the outer ring to level the split, while with the Cokin system of split ND filters, you adjust the filter holder itself. Sunrise shot with the Zykkor Split ND Filter, which allowed significantly more color and light in the reflection to balance the brightness of the sky. 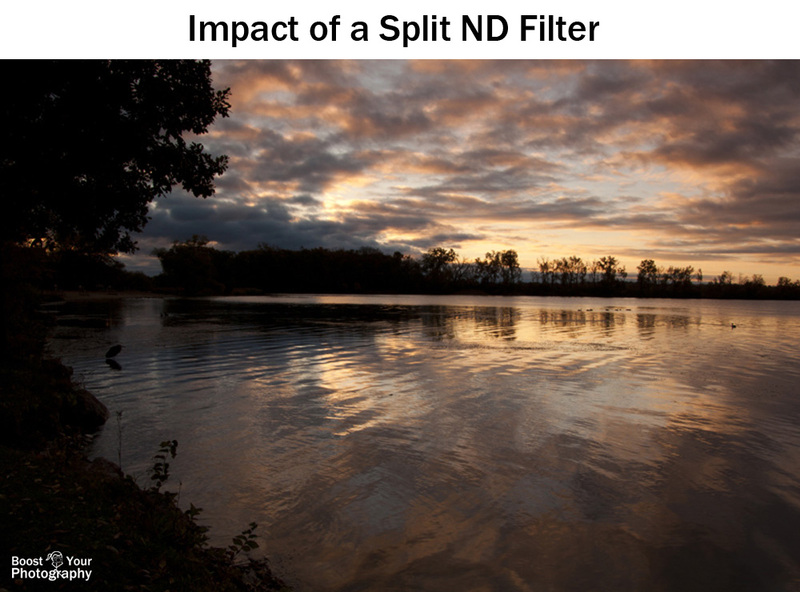 Split ND filters are commonly used by landscape and travel photographers to shoot sunrise and sunset images, especially with large foregrounds or reflections. In the example above, you can imagine how the sky was much brighter in reality than its reflection in the water. Using the split ND filter allowed me to better balance the two exposures - making the sky darker so that both the sky and the water reflection could shine. For this photograph of the sunflowers, I used the split ND filter again to block out some of the light from the sky. Otherwise, the sky would have appeared much lighter, and the storm clouds would have lost some of their dark and brooding look. There are many different styles, brands, and systems of filters available, and this article has laid out the four most commonly used by photographers. Think about what your current needs are and which filters suit you best. If you do not already have UV filters for your lens, start there. Then, think about what you shoot most. Are you outside where a polarizer would make a big difference? Do you aspire to shoot long, smooth waterfalls or impossibly smooth water shots? Then look into neutral density filters. Do a lot of sunsets or sky photos where a split neutral density filter would make the difference? Worried about the price tag? Consider buying a cheap knock-off ND filter just to try it out. If you are addicted to the look, upgrade. Whatever you choose, spend the time to really get to know your filter and what it can do for you. I am an enthusiastic photographer and teacher who started Boost Your Photography as a resource for beginning and hobbyist photographers at all levels of experience. The goal is to provide you with instructive content and projects that will inspire your creativity and inform your photographic journey. Welcome! What the ... White Balance? Manual Mode in Photography - go for it!